I’m feeling a little proud of myself today. Who would have thought that this quintessentially carb-laden sour-starchy-noodly dish could be made low carb? Truth to tell I haven’t eaten Lor Mee for about 2 years already. This attempt is a valiant one and I like to think it was pretty successful. I think there is something magical about this hearty meaty dish that is balanced out by black vinegar and ginger notes. 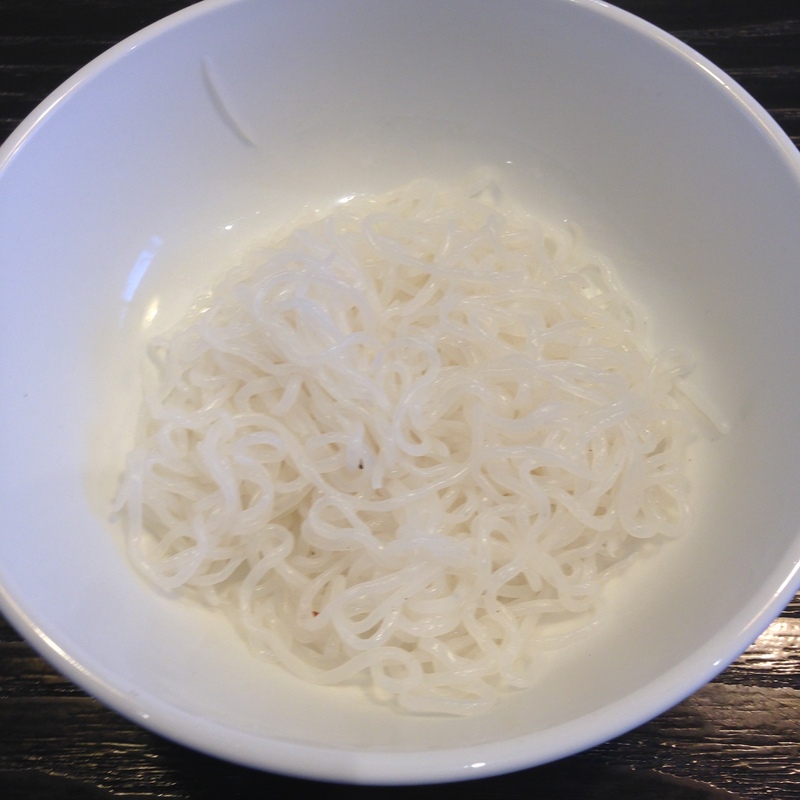 Of course, for the noodles I used Shirataki noodles for my portion and the kids got their traditional yellow mee noodles. I confess I did buy ready made ngoh hiang (will make a truly low carb version next time) and fish cake. Like most Chinese dishes, there was a lot of prep to get everything ready, but it was definitely worth the work. Of course, down the road in Balestier market there is a truly awesome Lor Mee stall but since I can’t access that, this will do just fine :-). 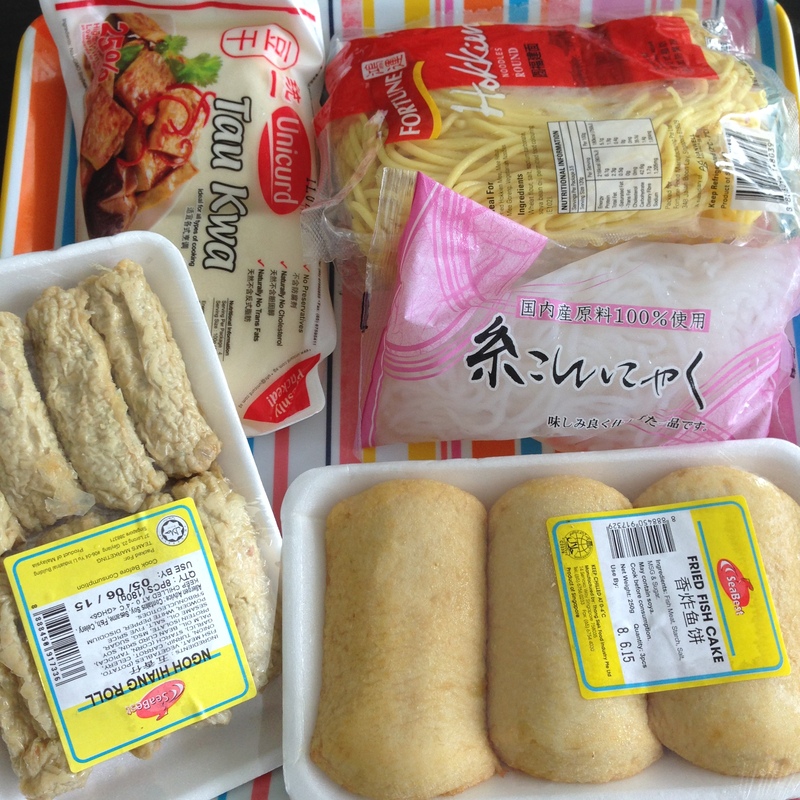 The picture shows in clockwise order, regular yellow noodles (top right), shirataki noodles, fish cake, ngoh hiang (beanskin wrapped meat rolls) and firm tofu (beancurd). 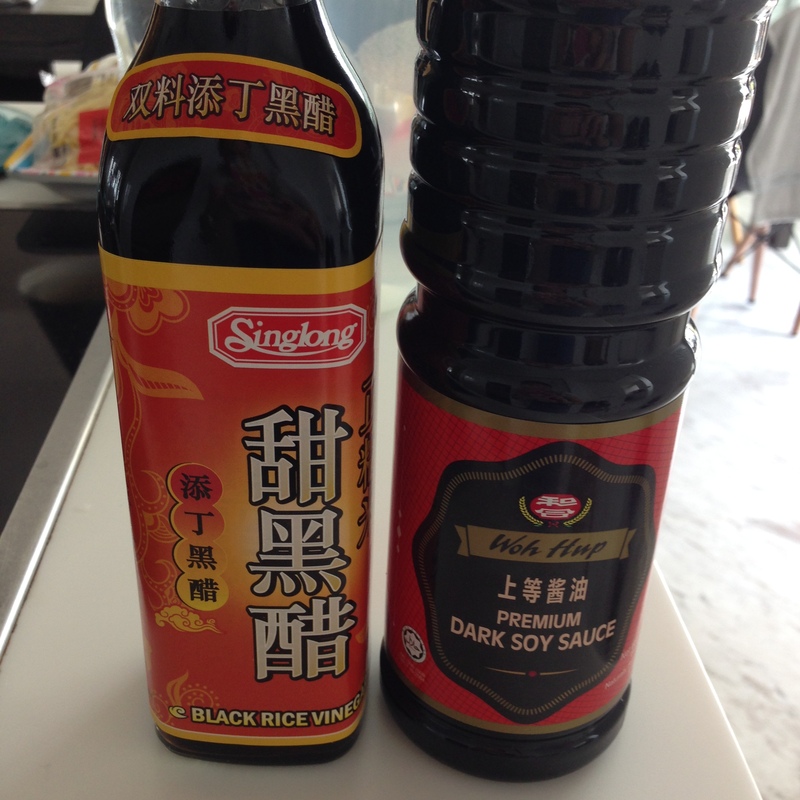 These should be available in any Chinese grocery store. 1. Place the pork belly, garlic cloves and ginger into a large pot and pour in 1 cup of soy sauce and 3 cups of water. Bring to a boil, then lower the flame to simmer for 45 minutes. 2. Add the hard boiled eggs and firm tofu and simmer another 15 minutes more. 3. Remove the pork belly and refrigerate for about 1/2 and hour. This makes the pork slightly firmer and easier to cut into slices. 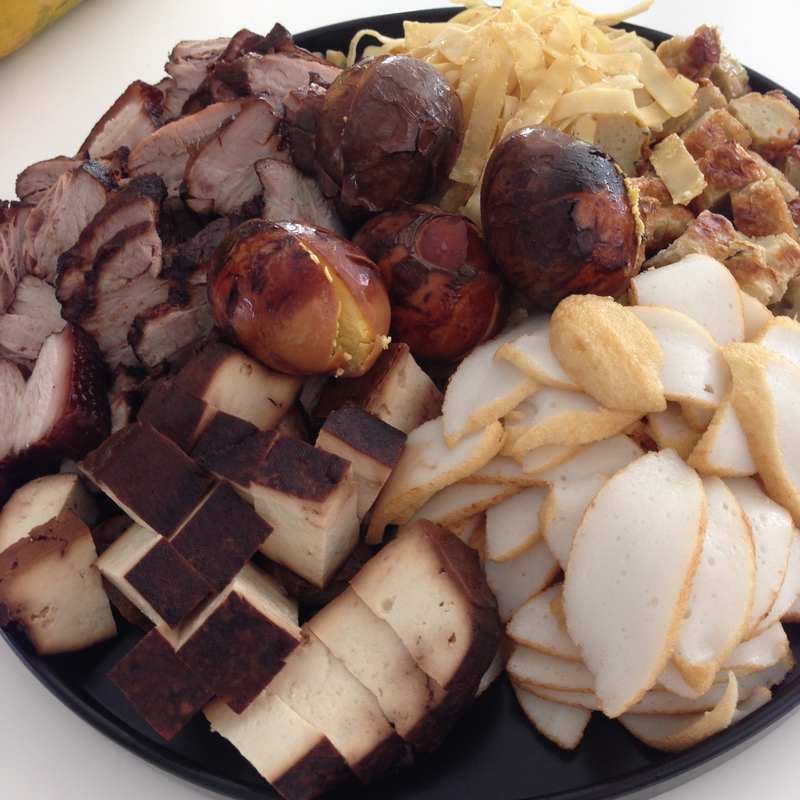 Put aside together with other prepared ingredients like the fish cake and ngoh hiang. 4. Remove eggs and halve them. Also remove the firm tofu and cut into smaller pieces. Put aside. 5. 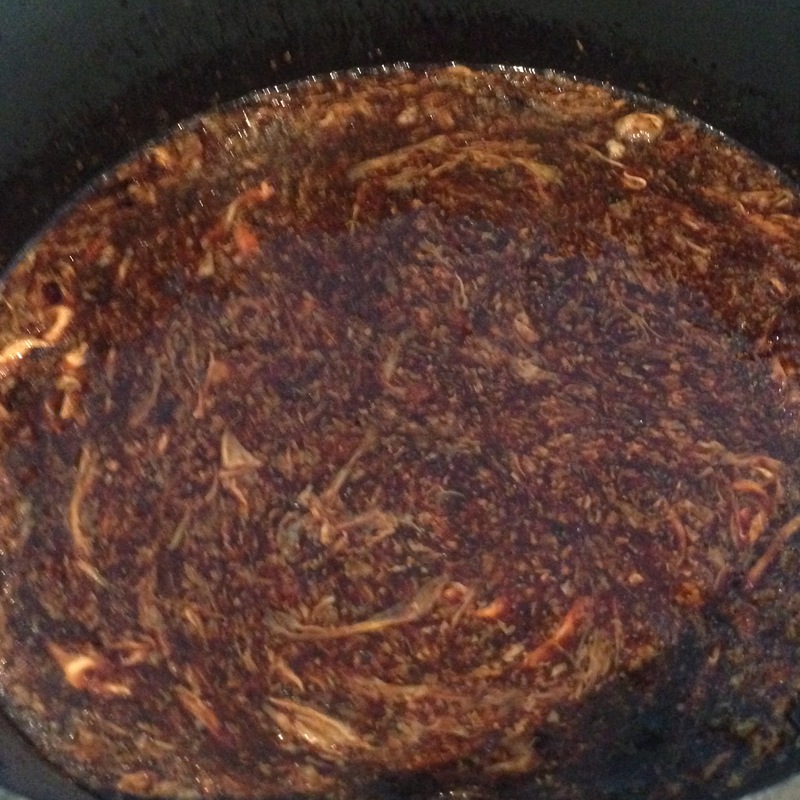 Add 3 cups of water and 1 cup of black vinegar and bring the remaining stock to a boil. 6. When there is a rolling boil, pour the beaten eggs into the sauce, using a ladle to stir vigorously at the same time. The appearance of the stock will be like that of egg drop soup. 7. Pour in the slurry of arrowroot flour starch and continue to stir. When the soup is thickened, take the pot off the heat. 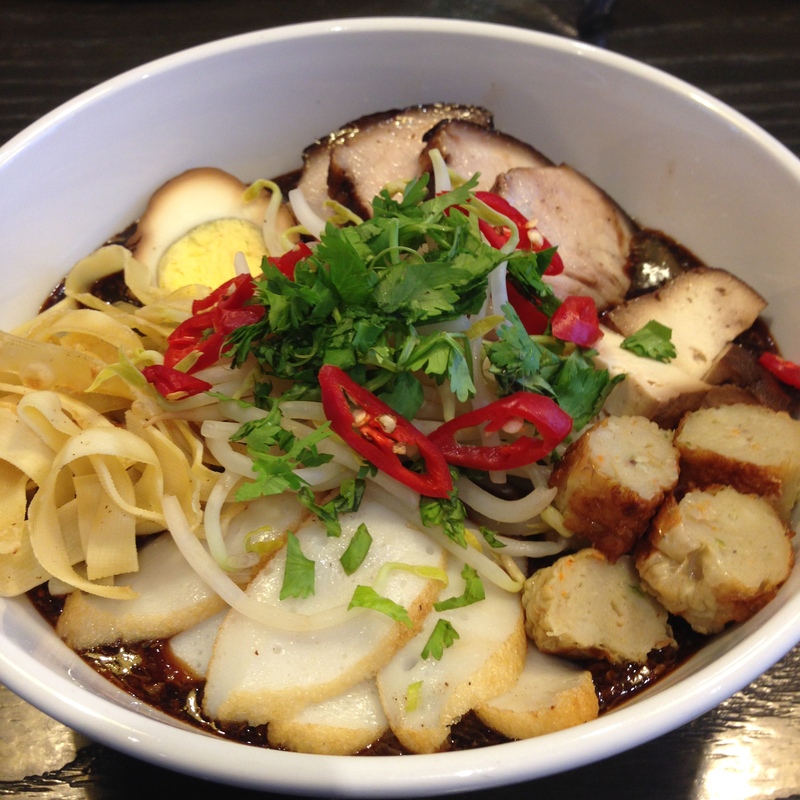 For plating, place the noodles at the bottom of the bowl and top it with the gravy. 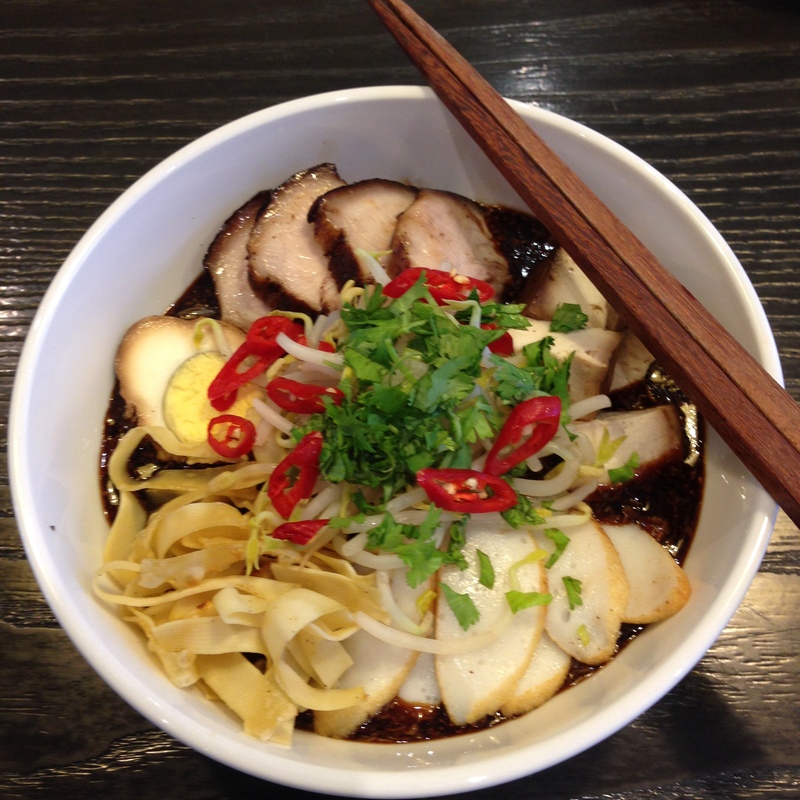 Arrange the eggs, sliced pork, bean curd, fish cake, ngoh hiang and bean sprouts over the gravy. Top with red chilli and chopped coriander and serve hot. How can one ever feel peckish when visiting the Pecks’. Always good food on the table, can guarantee full plate and full belly.